In December last year, Ofo’s CEO Mr Dai Wei announced to its employees that the firm was facing “immense” cash-flow problems. Following that, it sacked all of its operations team in Singapore — many are still “owed thousands of dollars in unpaid transport and mobile phone claims”. These debts have been unpaid for over 6 months. In January, the Land Transport Authority (LTA) said that ofo has “breached multiple regulatory requirements” despite “ample preparation period”. It failed to right-size its fleet to 10,000 bicycles, and did not implement the required QR-code parking system. LTA had given ofo until February 13 to meet these requirements, but it fell on deaf ears. It suspended its license on February 14 and demanded the firm to remove all its bicycles from public places by March 13. LTA extended the deadline to March 28 after ofo told LTA that it was in advanced stages of negotations with another party to resume operations. Despite the deadline extension, ofo still failed to comply and LTA has finally cancelled its operating license in Singapore today. The Chinese bike-sharing firms has “up to 14 days to make written representations to LTA”. 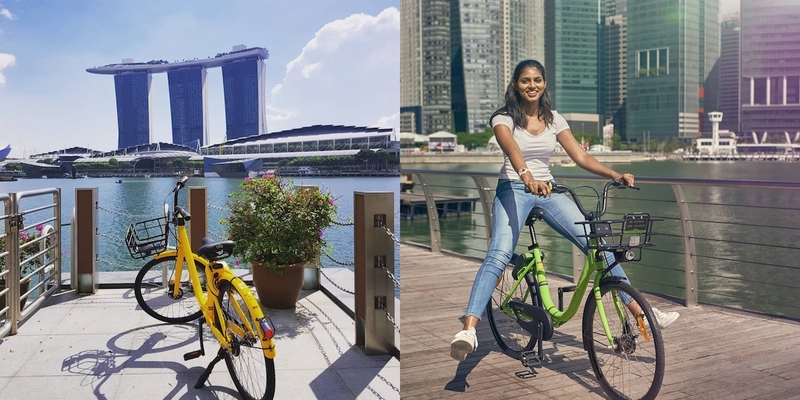 Meanwhile, LTA has granted in-principle approval to two companies — Anywheel Pte Ltd and Moov Technology Pte Ltd — for licenses to operate dockless bicycle-sharing services in public places. Three bicycle-sharing operators have sent in their applications and after careful evaluation, LTA has decided to graduate Anywheel from a sandbox license. It previously operated a fleet of up to 1,000 bicycles, but it can now expand its fleet to up to 10,000 bicycles. On the other hand, Moov Technology Pte Ltd is a newcomer that will be granted a sandbox licence for up to 1,000 bicycles. The third applicant, Ywise Circle Pte Ltd, is unfortunately unsuccessful in its application as it failed to meet the evaluation criteria. Some consideration factors include the applicant’s proposal to manage indiscriminate parking, fleet utilisation, its financial strength, and track record (if applicable). Under LTA’s licensing framework, operators who have been granted sandbox and full licences for device-sharing services will be allowed to operate in public places for one year and two years respectively. LTA will impose conditions, including the maximum fleet size that each licensee is allowed to deploy. They must also meet other requirements such as implementing a Quick Response (QR) code parking system to ensure users park within designated parking areas. If these conditions and standards of performance are not met, LTA will take regulatory action against the licensee. LTA will regularly review the fleet sizes so that the population of shared bicycles can support user demand. Licensed operators can submit applications to expand their fleet sizes twice a year in January and July. Licensees which have demonstrated they are able to manage their fleet effectively by minimising indiscriminate parking and maximising utilisation rate will have the opportunity to grow their fleets. LTA will announce the decision on the PMD-sharing licence applications by mid-2019. More time is needed to evaluate this first licence application cycle for PMD-sharing activities, which involve new activities such as the charging of shared devices that are not present in bicycle-sharing services.